Belitung might look a little slumber compared to its neighbor, Bangka island. 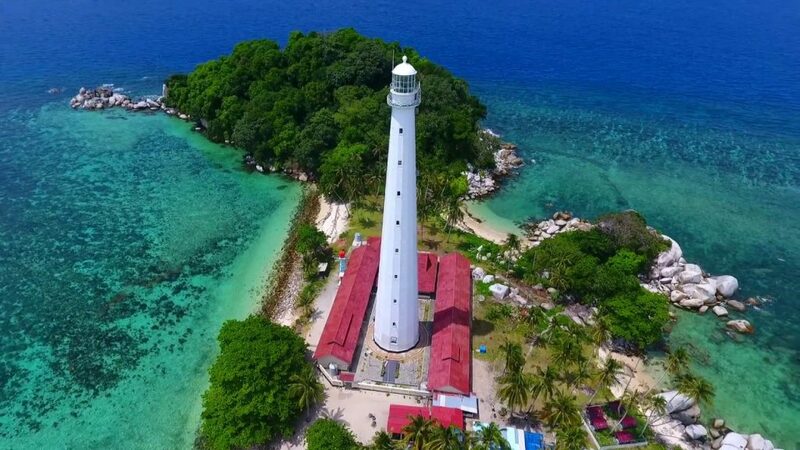 But, this tiny island located in the east Sumatra should be on your weekend getaway bucket list. The reason is none other the natural beauty Belitung has. As well as how the island will bring peace and serenity to your getaway. 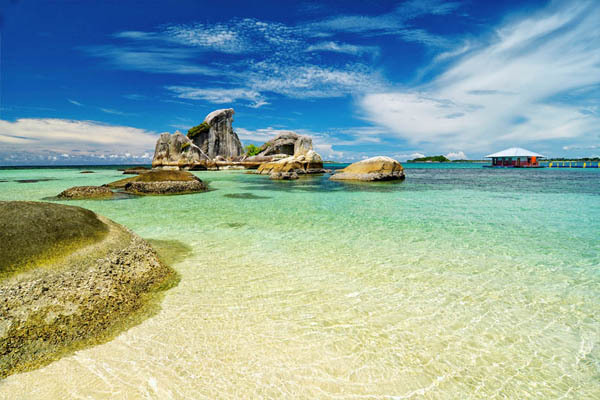 Its main island’s beaches, including Tanjung Tinggi and Tanjung Kelayang, are known for their rounded granite boulders, fine sand, and calm waters. 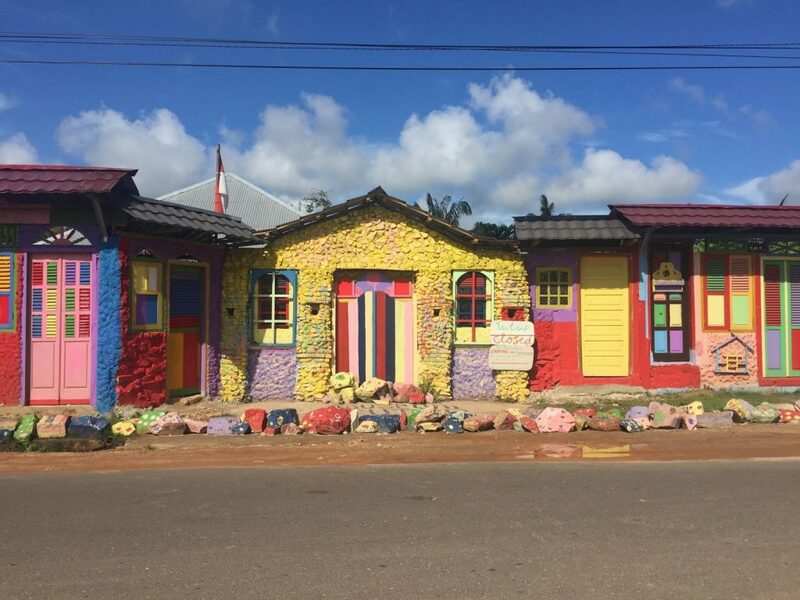 The island’s largest town, Tanjung Pandan, features Dutch colonial architecture and a colorful harbor. 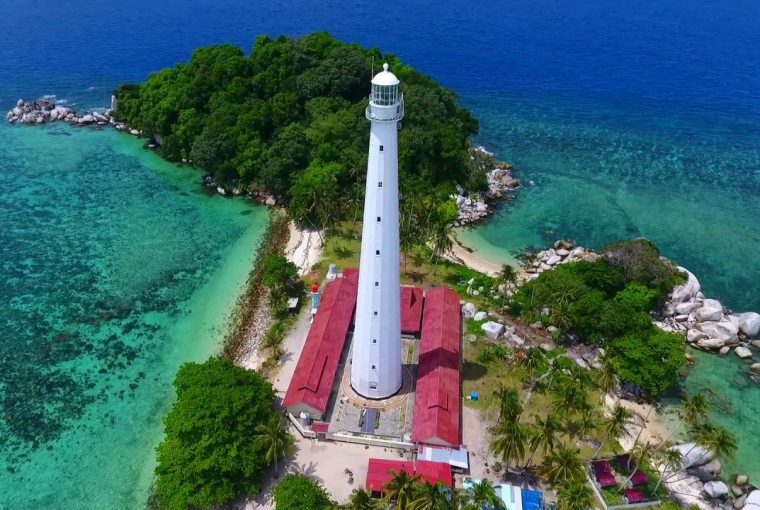 Pulau Lengkuas, one of many small offshore islands, has a 19th-century lighthouse and snorkeling among its coral reefs. So, prepare your trip to Belitung and here is the complete guide for you. Take a direct flight from Jakarta (CGK) to H.A.S. Hananjoeddin Airport (TJQ, Buluh Tumbang Airport), Tanjung Pandan (Belitung) via Sriwijaya Air, Citilink, or Garuda Indonesia. The flight will take up to 50 minutes with 6 flights a day. Make sure that your ticket lists your destination as Tanjung Pandan or Tanjungpandan or TJQ. Please also be aware that weekend flight might full, as well as during high season in Indonesia (Eid, Chinese New Year, Ching Ming, June/July). Belitung is smaller than Bali, 4/5 of that island, that’s why Belitung considered as a tiny island. So, getting around on this island will not take you a hustle. You can roam around Belitung with Street Taxi, or rent a car or motorcycle. For a rented car, the cost started around IDR 400,000/day inclusive driver. Some hotels in Belitung also collaborate with Street Taxi, so you can ask the hotel to assist you with it. If you want to go for island hopping, Street Taxi also provides rented boats. This beach is in the form of a protractor which is approximately 100 m in diameter with the arrangement of granite stones on two sides of the beach. Along the beach, you can see an impressive and unique panoramic beach view. The sand is white and the water is clear. You can also swim and snorkel in here as the beach has small waves and consists of pretty underwater visual. 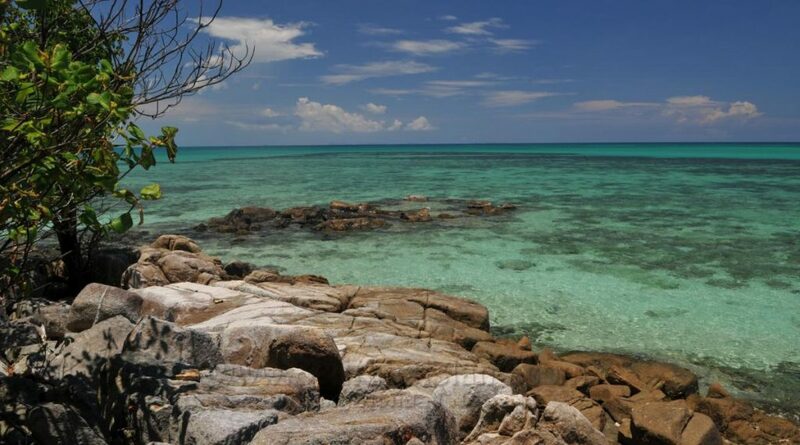 The coast of Tanjung Kelayang, in the northern part of the island, is the heart of Belitung’s splendor. 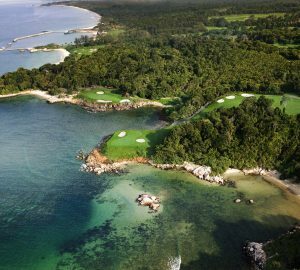 Once a remote vacation spot, Tanjung Kelayang has now developed into a broadly integrated resort following government policies that set the area as a Special Economic Zone 324.38 hectares. Here, pearl white sandy beaches, unspoiled seas, and tropical wonders await. What makes it truly unique is the beautiful large rock formations that decorate the beach. This enormous granite sheet extends to the sea and they seem to have been scattered here by the hands of Mother Nature. A beach where you can also enjoy the city vibe of Belitung. Explore the surrounding as you can experience a beautiful sunset, as well as a playground, public spaces for sport, and plenty of authentic seafood restaurants. You can also find several heritage buildings from the Dutch colonial era. Burung Mandi literally means “bathing bird”. But, the name wasn’t derived from its literal meaning, because not much birds are bathing here. The name actually comes from a hill standing firmly next to it named after “Burung Mandi”. 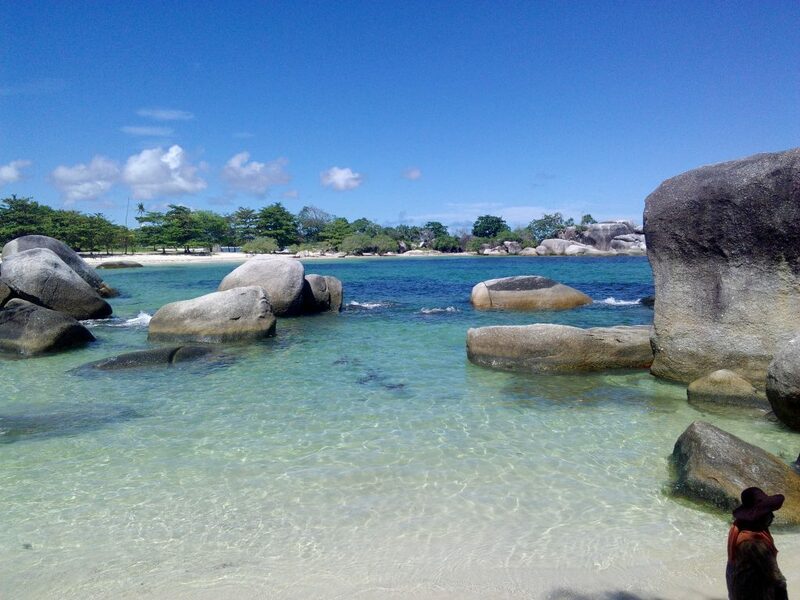 Located in Belitung Timur, this beach is about 70 Km from HAS Hananjoeddin airport. Visiting this beach in the afternoon is recommended for a relaxing moment. Swimming is not suggested here, as the wave is considered strong. But, you can sit on the beach or gazebo nearby to gaze on the beauty of the beach. 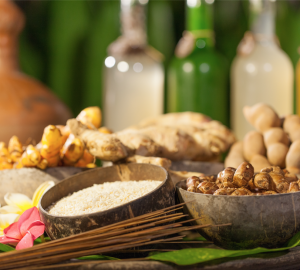 You can also enjoy fresh young coconut and taste crimson snapper grilled using coconut shell or fibrous husk and wrapped in a simpur leaf. For those taking children, don’t worry, because you can let them play at the playground. With a total area of less than 1 hectare, Lengkuas is located within the Sijuk sub-district, Belitung Regency. While it may be small in size nevertheless it offers a wide range of splendors. This humble little island offers idyllic landscape, lush palm trees and staggering boulders that are great fun to climb on or swim beneath. 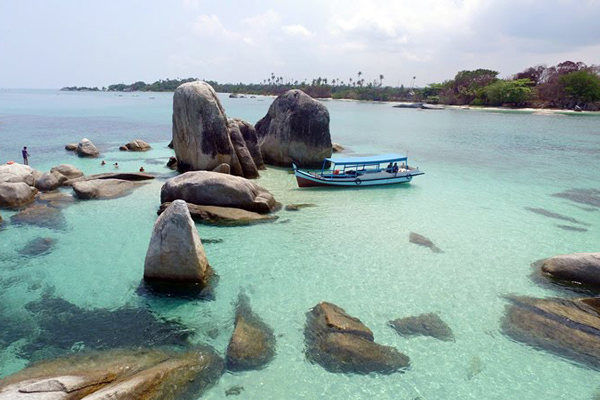 Lengkuas Island is blessed with a pristine beach, turquoise blue waters and distinct huge granite boulders, the icon of Belitung beaches, located north of Tanjung Binga Village in Belitung. Adding to the splendor is the existence of a hundred years’ old Lighthouse which offers complete fascinating views of the island and its surroundings. Lutong or Lutung (“ape” in English) is actually one island, but during the low tide, it separates into two islands and you can walk on the sand between them. There is no legit history that the name of Lutong was taken from a type of black-haired ape that lives in Indonesia. Yet, locals claim that it came from one of the stones there which resembles a Lutong or ape head. The main attraction of Lutong Island is its white sand peninsula which is about a half of football field. Here, you can enjoy the white sand beach and clear sea while walking around and take some photographs. Boat hire for beach or island hopping costs from IDR500,000 per day depends on the size of the boat. A Buddhist temple dedicated to the goddess of ancient Chinese grace: Guanyin. In 1293, Mongolian gangs, led by Kau Shing and Shih Pi departed from China to conquer the Singasari Kingdom on Java. During that event, many Mongolian soldiers were injured, trapped in storms, and scattered. Some of them also lost in the place they named Kau-lan, which is a site in Belitung. Kwan Im Temple is a place for them to gather and pray for the mercy of Goddess Guanyin as they wish to return to their homeland. These soldiers never managed to see their homeland. 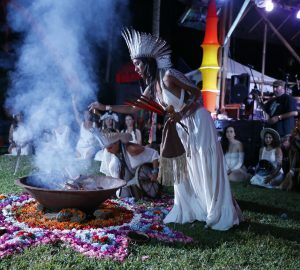 Instead, they began a new life on that foreign island. 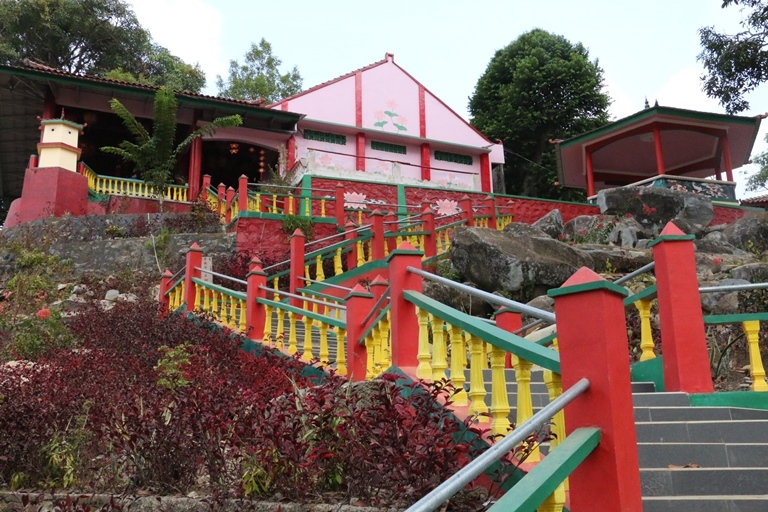 The Kwan Im Temple was rebuilt in 1747 by the first Chinese workers in Belitung to work in the tin mine. Today, the Kwan Im Temple is one of the most historic temples in Indonesia where many Buddhists throughout the world come there either to visit or to pray. 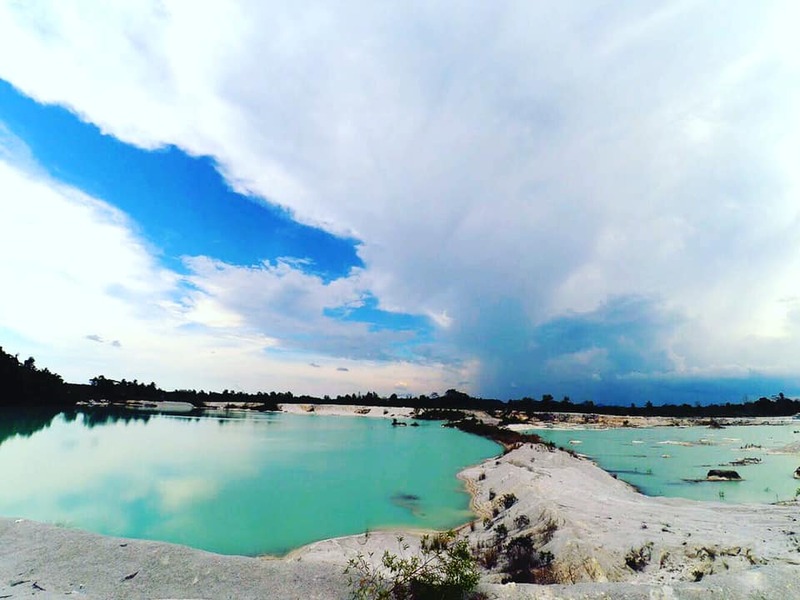 Kaolin Lake is one of the favorite spots in Belitung, especially for tourists. This area used to be a kaolinite mining and abandoned. The holes from the mining then formed into lakes with pastel blue water. Surrounded by white ground, this place looks similar to the Poles or volcano crater. The water is practically safe as it does not contain sulfur. That’s why you may see some locals swimming in the lake. But, we suggest you consider before going to swim or bath into the lake. It only takes about 10 minutes from the airport. The author of best-seller novel Laskar Pelangi, Andrea Hirata, erected Indonesia’s literature museum here. Behind the scenes of Belitung in the year 1978 with his memorabilia and a corner of tin mining equipment. Periodically, Andrea himself comes to his hometown giving art and band lessons to the local community.